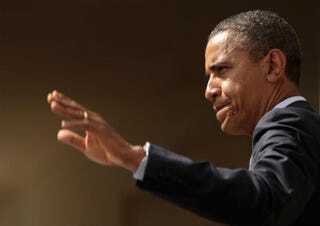 In a blog entry at Your Black World, Dr. Boyce Watkins picks apart Harvard law professor and author Randall Kennedy's CNN opinion piece that defends President Barack Obama against black critics. Watkins argues that it would be harmful to black America to forgive mistakes made by his administration. 1. We must not mistake a black agenda for a Harvard University agenda. Similar to what happened when the Obama Administration pushed for the Supreme Court nomination of former Harvard Law Dean Elena Kagan (who had a sad and racist hiring record), there is typically a concerted effort among Harvard faculty (especially black ones) to write commentary unconditionally supportive of President Obama's policies. The commentary is designed to convince the black community to blindly support every move made by the Obama Administration, even if the move is not good for them — no black women were seriously considered for the Supreme Court nomination (although the Jewish and Harvard communities have received representation far greater than their proportion in the population), but Kagan was a better choice to shore up other bases that the administration deemed to be important for re-election. You don't get much from politicians if they can take your support for granted. Read Dr. Boyce Watkins' entire blog entry at Your Black World.